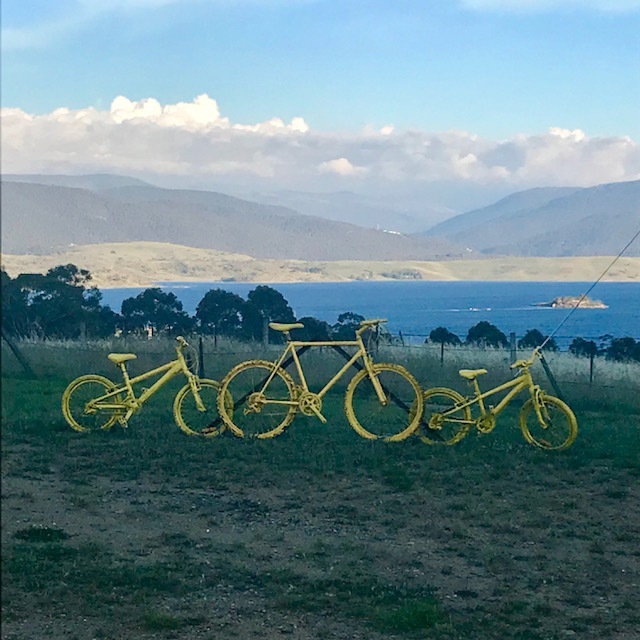 L’Etape (French for ‘The Stage’) was held in the Snowy Mountains in early December 2017. 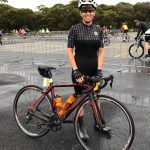 After riding Amy’s Gran Fondo in September, the 157km gran fondo, with about 2,700m of climbing, seemed like a great next goal. 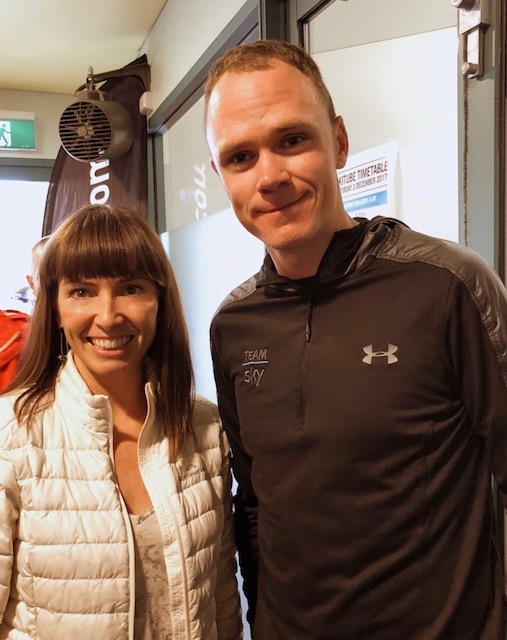 It boasted the Col du Buloka – a 3km climb with a 22% pinch and an average gradient of 10% – and a finish line at the top of Perisher Valley, arrived at after a 26km climb up Kosciuszko. With this in mind, my training focused on intervals mid-week with Exercise Institute (EI) sessions (I’d love a dollar for every Hickson 85% I completed! ), and longer endurance rides on the weekend – either Brad’s hills ride or out to Death Valley. Mark’s Tuesday sessions were terrific for building strength with the weekly mix of Tabata, sprint and TT efforts. 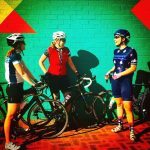 Learning to ride to power changed the face of my training and delivered me to the start line knowing I had maximised my preparation. 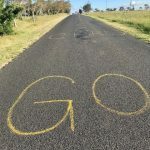 Arriving a couple of days early, I tested my legs up Col du Buloka, and with that done, I felt comfortable I was prepared for anything the race could throw at me. Climbing Buloka turned out to be the least of my concerns however, when due to severe weather warnings, the route was controversially shortened by 50km, with the final climb up Mt Kosciuszko excluded. 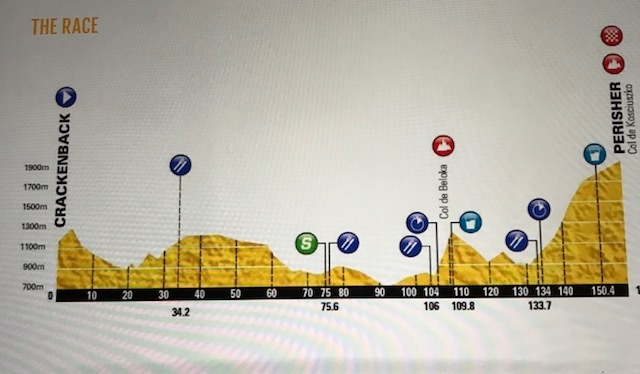 This changed the event from a probable 5 hour plus endurance based climbing effort, to a shorter, faster 3 hour race. Conditions on the morning were treacherous: wet, cold and windy. 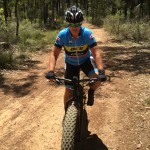 The decision to borrow Mark’s alloy wheels and leave the carbon rims at home proved to be a good one. 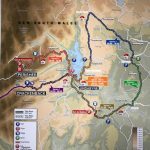 The race began with a fast 10km descent from Bullocks Flat into Jindabyne. My mountain biking background gave me the confidence to stay off the brakes and use the entire road to carry speed, and I passed hundreds of riders on the descent. 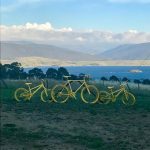 A short climb led out of Jindabyne to a fast flat section, and I found myself in a similarly paced bunch. 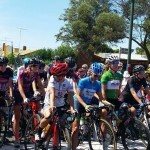 We managed to get organised and pace line our way to the quaint little town of Berridale, where the sprint points were up for grabs. The whole town was adorned in green, with the local communities embracing the Tour de France spirit. 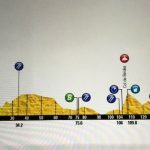 From there, the pack was split and I found myself working with only one or two other riders, trying to climb back onto the peleton. 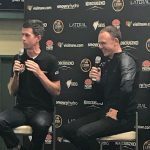 Watching my power output creep up to unsustainable levels, it was fortunate we didn’t make it – as we started to bridge the gap, the peleton collapsed and bikes, bodies and bidons were strewn across the slick road. Navigating my way through the carnage, I re-grouped with the remainder of the peleton and worked together through to Dalgety, the entrance to the Col Du Buloka. 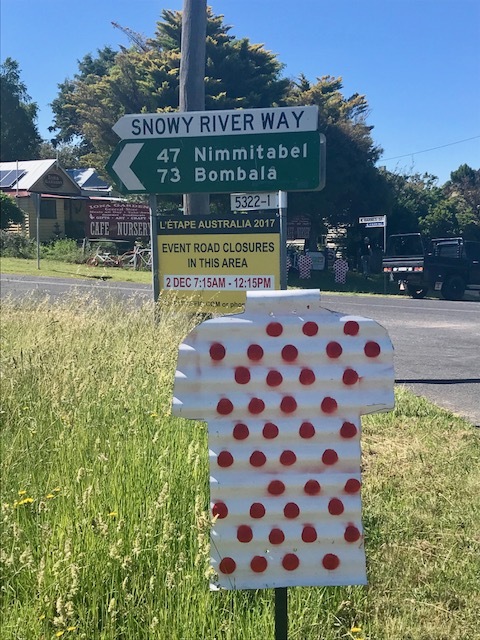 Red and white spots lined the main street, with hundreds of people in their King of the Mountain jerseys urging the riders along. 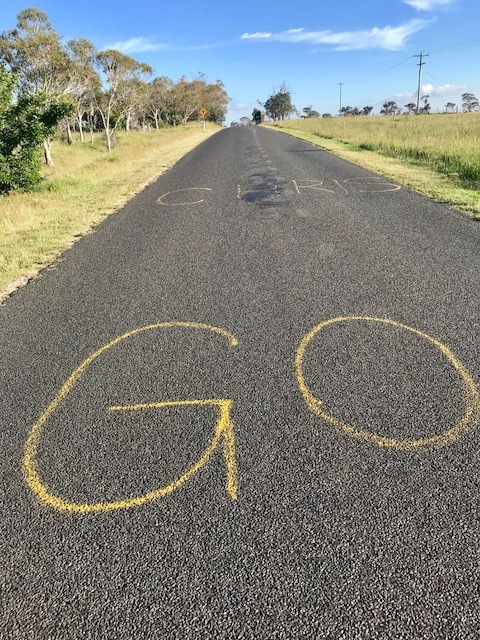 At the bottom of Col Du Buloka, the climb’s gradient is spray painted on the road, confirming that your Garmin is accurate in reading it at 22%. 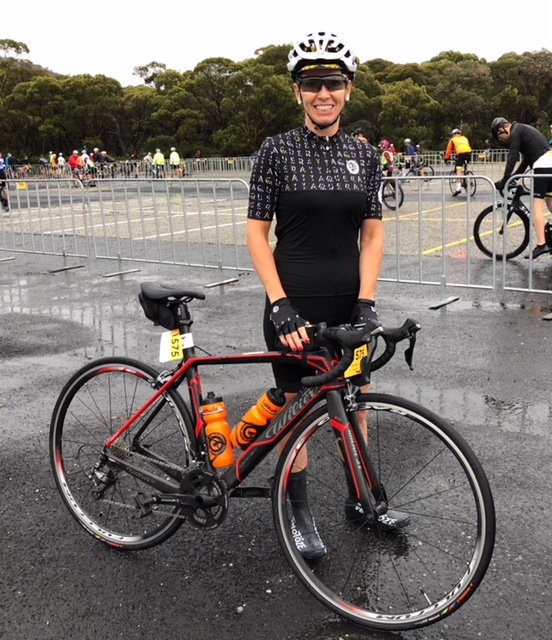 I was grateful for my 11/32 at this point and felt like I was making good progress, until someone on my right came past, looking very comfortable in the saddle, with a very high cadence and great form. It was, of course, Chris Froome, dancing his way up Buloka like it was Burke Drive with a tail wind. It made my day to see a rider of his calibre attack the climb. Chris wasn’t impressed to learn that he wasn’t the fastest and that the race winner, Jesse Coyle, beat him up Buloka by 8 seconds. 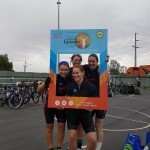 Amanda Spratt, riding with her local Penrith Cycling Club, was fastest female, both up Buloka and overall, completing the race in 2:52, and only 6 minutes behind the race winner. 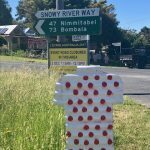 Given the shortened distance, I took the opportunity to ride Kosciuszko the following day and discovered why the organisers made the right call to cancel the climb. Leaving Jindabyne in a sunny 22 degrees with a light breeze, by 10km from the top of Kosciuszko the temperature had plummeted to 2 degrees, the wind was gusting so strongly that you risked being blown off the road and the sleet came in sideways: visibility was down to 2 bike lengths due to the rain and cloud cover. It would have been unsafe to conduct the race in such conditions. 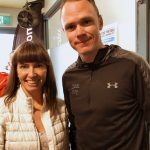 I have unfinished business and will be back to conquer Kosciuszko under race conditions next year. 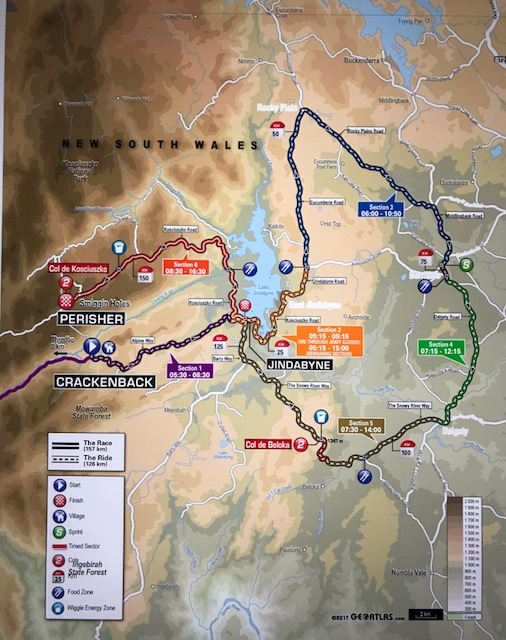 The opportunity to race on closed roads in some of Australia’s most beautiful country, in an event organised by those responsible for the Tour de France, and to challenge yourself on new climbs is too good to pass up. It was also refreshing to participate in an event embraced by the local community, who persevered with lengthy road closures and bitter weather to provide their support. 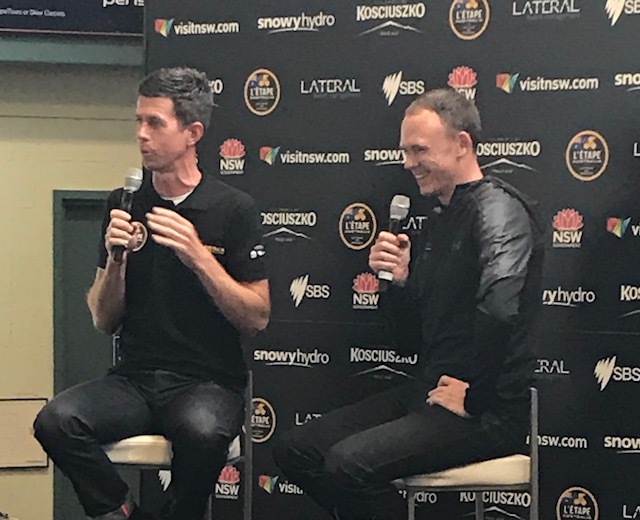 And then to hear from Chris Froome about his training tips, nutrition plans, greatest moments and toughest trials was worth the 4,000km journey. Highly recommend – who is with me next year? 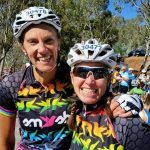 Raechel is somewhat unaware that she would be one of the more determined and hard working cyclists, regardless of gender, that we have worked with. Your outcomes here are completely of her own doing.